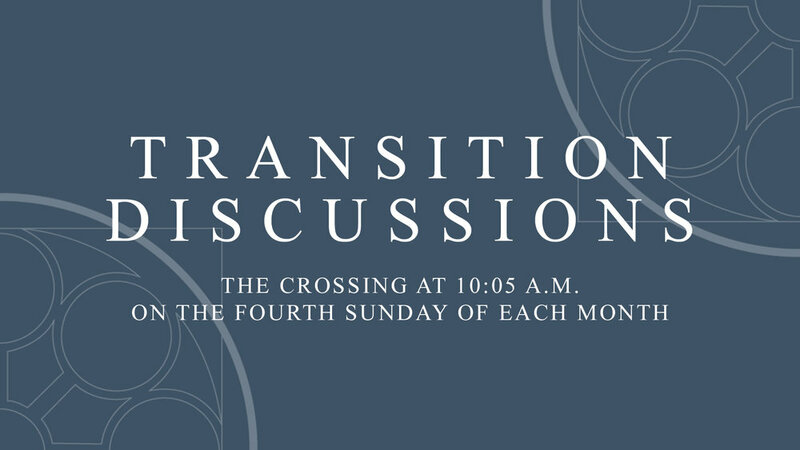 The Transition Team would like to again share updates this month on what is happening in the pastoral transition process as we approach Dr. Weimer’s last Sunday as senior pastor next month. "Pause for Prayer" wherever you are on Wednesdays at 2 p.m.
Interim Pastor Nominating Committee (IPNC) – The IPNC has been hard at work. They hope to have an announcement by May. More details will be provided in separate communications. Congregational Meetings – The congregational meeting to formally dissolve the pastoral relationship with Dr. Weimer, as a requirement of the Presbyterian Church, will be held Sunday, April 7, in conjunction with our Annual Meeting. This meeting will follow the 11:15 a.m. service in the Sanctuary. Input to Pastor Nominating Committee (PNC) – To repeat what was shared last month, there will be opportunities to provide input through surveys and other means as well as to make suggestions on who should be on the PNC. More information will be provided later. Transition Team - A Transition Team has been established to oversee the entire process and ensure there are ongoing communications with the congregation. The members of the team are: Don Handell, Anne Barron, Tom McWhirter, Kameron Joelson, Dan Lowery, Tianna Sims-Miller, Matt Seadore, Tjada McKenna, Neale Hightower, and Robin Hubier. Please address your questions and suggestions to the Transition Team at transition@napc.org or by using a connection card on Sunday. We look forward to hearing from you! What does the Interim Pastor Nominating Committee do? The IPNC is charged with defining the roles, responsibilities, experience and skills that the Interim Pastor would need to possess to best serve NAPC. Maintain open lines of communication with the Presbytery, NAPC Leadership and Staff and the congregation regarding the progress. Identify and interview experienced candidates. Present candidates to the Presbytery for acceptance. Present selected candidates to the Session and congregation. What Groups are involved in this process? Session is the governing body of the Church and is composed of Elders from NAPC. IPNC is made up of the individuals (Samantha Hodgkins, Marc Pilgrim, and Neale Hightower) who were nominated and approved by Session to spearhead the search for an Interim Pastor. The Presbytery has selected a team to work with the IPNC, providing guidance and support through this process. IPNC values your opinion and will be announcing ways for you to communicate your heart regarding the search for our Interim Pastor. Continue to offer affirmations and encouragement to Session, Staff, and the Presbytery during this time of transition. What is an Interim Pastor and what will they do? An Interim Pastor will be a primary preaching voice between Dr. Weimer’s departure and the calling of a new Senior Pastor. An Interim Pastor plays a vital role role in helping NAPC navigate this period of change. An Interim Pastor will continue the vision and mission of NAPC. An Interim Pastor will work with leadership, staff, and the congregation to maintain focus, energy, and cohesion. An Interim Pastor will be the moderator of Session. We are working hard on to identify what NAPC needs in an Interim Pastor and identifying candidates that have the range of experience and skill set to fulfill those needs. We are planning a time to hear from you, the entire NAPC family, regarding our new Interim Pastor.